L.C. Smithâ€”the undiscovered collectible. It is a true American classic that has been under-appreciated for years. The “Elsie” was both the workingman’s gun and a gun for the serious collector. The new H&H Round Action Sidelock is a handsome gun, especially in 20 gauge, and it is much more of a head-turner than the old Dominion. It also offers great value. A true London best for less than Â£30,000 is a real gunmaking feat. You don’t travel down to Portales, New Mexico, unless you have a reason: blue quail and bobwhite quail and lots of them. Woodcock recently have come into focus as a species needing help, and a number of conservation organizations and state and federal agencies have made the recovery of the birds a top priority. An invitation to Readers & Writers Adventures at Firesteel Creek Lodge in South Dakota and Quail Country Plantation in Georgia; a preview of the 2008 Southern Side-by-Side Championship & Exhibition and the Western Concours; new facilities for Westley Richards and William Evans; reviews of Columbia Sportswear’s field clothing and Homefields: The Art of Landford Monroe; and the spring flights of woodcock. The author discusses gauges and cartridges and suggests that some of our game laws be rewritten by people who know what they’re talking about. A discussion of the wide spectrum of services offered by Doug Turnbull Restoration, including a comprehensive explanation of the charcoal bluing process. When effectively used, the clicker is a powerful communication tool for you and your dog in shaping behaviors. The clicker-taining technique focuses on manipulating and controlling consequences through reinforcement techniques to change the probabilities of future behavior. I like the Franchi Highlander for what it is: a strong, simply designed gun built for years of service. 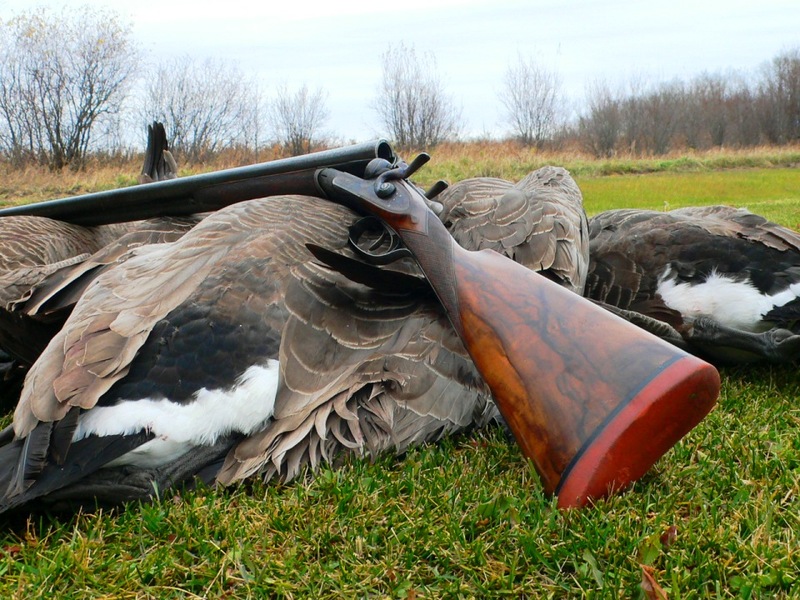 As a crossover for an over/under shooter who wants to try a side-by-side or a nice combination gun for upland and waterfowl, it would do very well indeed. A Roaring in the Blood: Remembering Robert F. Jones, edited by Annie Proulx; Aldo Leopold’s Odyssey, by Julianne Lutz Newton; The Great Shoots: Britain’s Bestâ€”Past and Present, by Brian P. Martin; Shooting, Top Tips, by Bryn Parry; The Grouse: Artists’ Impressions, by Simon Gudgeon, et al. Henry Atkins No. 766 and 767 were made in 1893 as part of a trio. No one knows the whereabouts of the third. A medical emergency arose during one of Major Nathaniel Peabody’s (USA, ret.) grouse hunting expeditions. A young hunter, unaccustomed to the dangers of entering the woods without appropriate provisions, received an urgent call of nature and found he had neglected to bring any form of paper with him. In his confusion he wiped with a handful of poison ivy. Miles from modern medical services, the poor fellow had to resort to the partial relief of a river-mud poultice. He had to apply it himself. None of his fellow hunters would volunteer for the job. One evening as the men sat around the campfire (except the young hunter, who preferred to stand or lean against a tree), Peabody rattled the ice cubes in his empty glass and, while one of his companions found the single-malt Scotch and performed the refill ceremony, began a discourse designed to enlighten his shotgunning associates.